Open to all badgeholders, the SXSW Podcast Stage will host up to 36 podcasts as diverse and varied as the crowd at SXSW. 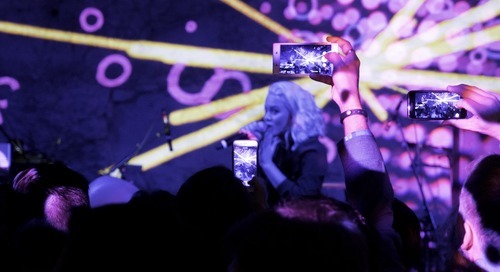 Experience multiple days of podcasts covering all facets of life including comedy, gaming, music, film, technology, and more held in front of a live audience in the Wisteria Room at the Fairmont from March 10 – 15 during regular SXSW Conference hours. In live tapings of their podcasts, various SXSW speakers discuss a range of topics from pop culture to American identity to what’s in Rachel Bloom’s purse. In American Enough, former Barack Obama White House Senior Advisor Vikrum Aiyer takes the stage with the ACLU leader Danielle Silber, Mayor Stephen Benjamin and Ravi Patel examine the challenges fueling divisions in our country, and the opportunities to build bridges among American communities. Culture critic Ira Madison, Grown-ish writer Kara Brown, and entertainment journalist Louis Virtel bring you Keep It! with a discussion about the intersection of pop culture and politics at a time when we’re all obsessing over both. Browse highlights below and get ready to hear conversations you won’t experience anywhere else this SXSW at the Podcast Stage. Movies! Music! Terrible tweets by celebrities trying to seem engaged while bragging about their latest project! This show has it all. Culture critic Ira Madison, Grown-ish writer Kara Brown and entertainment journalist, Louis Virtel engage in a lively, hilarious and thoughtful conversation about the intersection of pop culture and politics at a time when we’re all obsessing over both. Ally and Steve travel to the homes, studios and workplaces of today’s most creative and cutting-edge minds, providing a glimpse into their story, process and what drives them. This time, they’re traveling to you – with a live podcast recording. SIT-IN on this inspiring conversion. Get an insider’s view of Atlanta Monster, the #1 breakout podcast of 2018, with the show’s creators. Live taping of State Of Resistance with Sally Kohn — featuring grassroots Austin leaders and activists, Christina Tzintzùn and Heather Busby. Jackie and Rachel are going to be gabbing about all things self-care! Their favorite products, skincare, and rituals of wellness. Jackie will go through Rachel’s makeup bag and see what are her must-have’s. Plus, Rachel will answer fan questions as well as take questions from the audience. It is also very likely that there will be singing! In this existential moment for our nation’s identity, former Barack Obama White House senior advisor Vikrum Aiyer takes the stage with the ACLU leadership, Mayors, and Ravi Patel (Actor & Writer of the critically acclaimed Meet the Patels) to examine the challenges fueling divisions in our country, and the opportunities to build bridges among American communities. 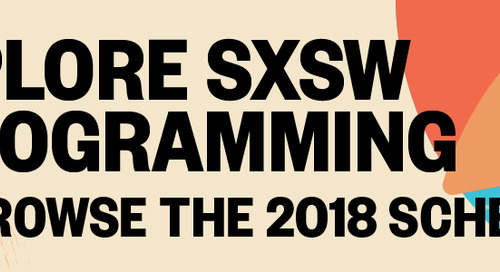 Purchase your SXSW Badge and reserve your hotel today to experience these podcasts along with 10 days of sessions, screenings, showcases, exhibitions, networking, and more this March 9-18 in Austin, TX. Take the Tracks Quiz to discover which badge will suit your needs. The post 2018 SXSW Podcast Stage Lineup Features Atlanta Monster, American Enough, Sally Kohn, and More appeared first on SXSW.